It is not secret that in the places where we live inspires, uplifts and affects our lives. Enhancing the beauty of a house gives the house owner confidence and peace of mind. A great way to transform a house is creating a focal point on the walls. Wallpapers are the ideal option for your house. Are you looking for high quality and durable wallpapers? 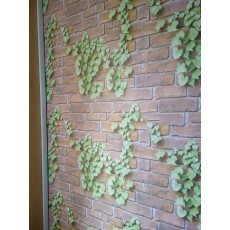 You can buy self adhesive vegetation wallpapers that require no glue. The best thing with these types of wallpapers is that they can be easily installed and removed without leaving messy glue on the wall. It is also decorative modern wallpaper that allows you to decorate your home frequently and easily. This kind of wallpaper is easy to maintain since you can easily wipe it with some little water after it gets dust. If you need to give your house a new look, you can visit Petcarl Décor to buy unique and quality rocks wallpapers.